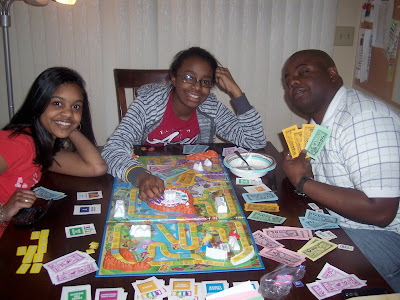 Dwayne and the girls were playing the game of LIFE together. Sounds like some good, innocent fun right? Hello, we are talking Dwayne here...Why in the world is he trying to pimp his LIFE money? Absolutely nothing better than fam. Is Dwayne also eating a bowl of Life?